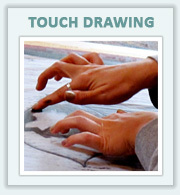 The immediacy and spontaneity of Touch Drawing has allowed me to draw in so many settings. Over the years I have developed an overwhelming archive of drawings created during talks by some of the inspiring thought and spirit leaders of our time. I have been longing to find a way to share some of these images more broadly. Last year the idea of creating coloring journals took hold and did not let me go. In looking through thousands of images, I distilled my work into five essential qualities – love, creativity, nature, inwardness and the feminine. I divided the images into these categories and then narrowed them down to the most potent ones, that seemed like they would also have the space to allow for coloring. 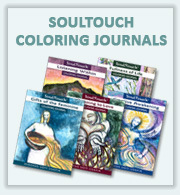 Last fall I released five SoulTouch Coloring Journals into the world. They are so different from the other coloring books on the market. Instead of coloring ‘in’ the lines, you are invited to be free form and expressive, enhancing the images with color in your own unique way. In this way, you are bringing these images more fully to life. Since the images in the Coloring Journals are taken out of the context in which they were created, I thought it would be enriching to share some of their stories. 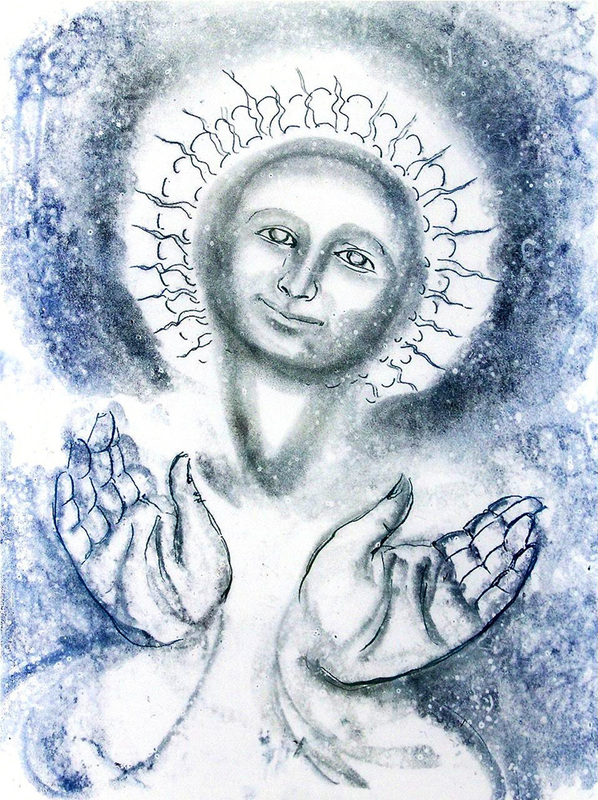 As I am posting this image as an offering for the solstice/full moon, it is a wonderful opportunity to begin. A number of years ago, my friend Mukti Khanna, a professor at Evergreen State College, invited me to attend a talk by Arun Gandhi, who is the grandson of Mahatma Gandhi. I brought along my Touch Drawing materials and found my place to sit and draw. 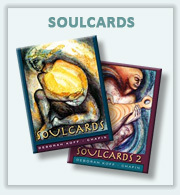 My focus is so strong when I immerse myself in translating words and feelings into images. Now and then, an image comes through with such a sense of clarity, it feels like it is drawing itself. While creating this image, it felt as if a loving presence was emerging from my fingertips onto the page. When I was selecting images for the Opening to Love Coloring Journal, this one seemed an obvious choice. I was sorting through drawings in digital form, and didn’t recall where it had been created. I needed a higher quality scan of it, so I had to dig through my archives to find the original. I finally located it it in my Arun Gandhi series. 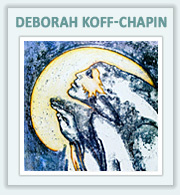 It was a joy to remember where it had been created and the feeling I had when creating it. It was also a blessing to realize that without consciously knowing it, I had selected an image inspired by the presence of Gandhi for the SoulTouch Coloring Journals. I have been so fascinated by the sudden explosion of the coloring books….I like to think that with all the negativity that is going on right now…that soooo many might be coloring which might create more peace in them and therefore in the world….so hope it is just a phase. Recognize your books are different that all the extremely detailed books……but any way we can create more peace and thoughtfulness and kindness….the better… I did send out several of your books to friends/family….One person returned it to me…..just didn’t suit here I guess…she likes doing the mandalas…..so yeah for that. Wonderful website. Plenty ߋff սseful info ɦere. I’m sdnding it to some buddies ans additionally sharing in delicious. And naturally, tҺanks іn yօur effort!